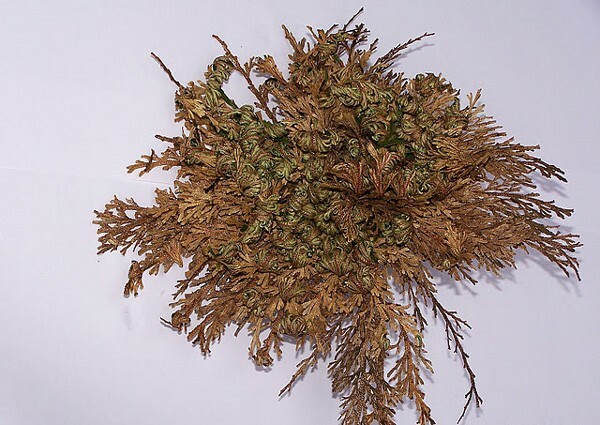 It first appeared in Europe before about 1000 years by the Crusaders, who regarded it as a sacred plant. It comes from the desert of Israel and Jordan and the locals believe that it brings good fortune and good health and is strongly associated with the Christian religion. 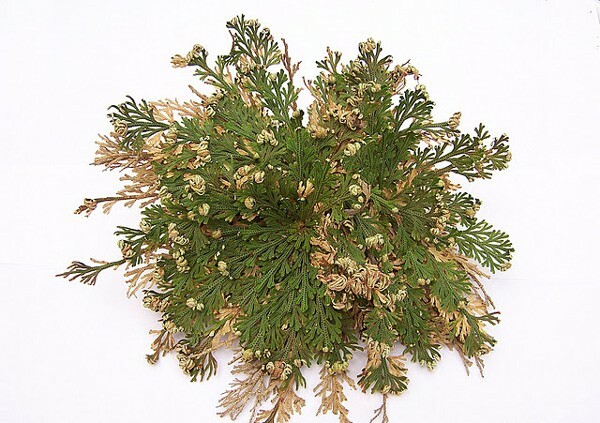 It belongs to the Selaginella lepidophylla family and is known by the names Plant of Resuscitation or Rose of Mary. It is a plant that can withstand harsh conditions. The paradox of this is that it can survive for years in the dry state to enliven and to green with a little water on your hands. More specifically, when the conditions to thrive are not appropriate, for example when there is a drought in the natural environment, it picks up the roots and branches and becomes a dry brown ball left in the wind. 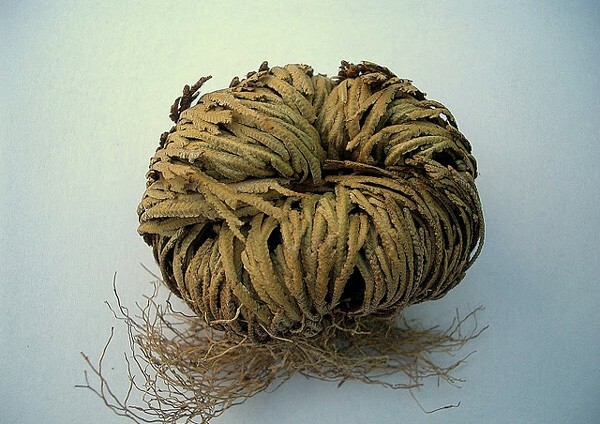 As soon as it finds moisture it transformes into a impressive green plant which can stay alive for a long time and may even blossom, while the cycle of life repeats for years. The greening process is simple and easy because all you need to do is to moisten the whole with a little water and to put it in a shallow dish. The rest is done by itself. In a few hours it turns green while in final form it resembles of a large open green rose! Once the water over the plant is gathered and done it dries out again, reaching back to their original form. Whenever you take the water will start the same process from the beginning. 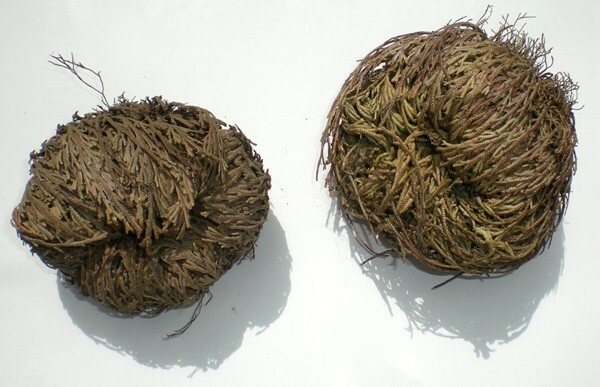 Magic or miraculous, as though the rate, the Rose of Jericho surprises with its properties, being a symbol of eternity, longevity, the incorruptible and immortal soul!